What is Speaker Frequency Response? 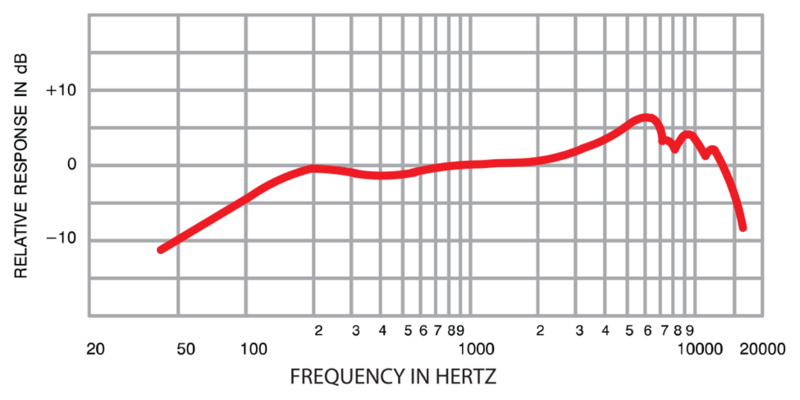 Why is Frequency Response so Important? How Different Speaker Drivers Produce Different Sounds? How do you decide which speaker is the right one? What are the key factors that make you choose some speaker or a speaker system? We have made a small research and concluded that many users base their decision on the specifications printed on the speaker box. After all, this is the easiest and the most convenient way, especially when you don’t know much about speakers and their performance. One of the characteristics that users find reliable is the frequency response. The problem is – the frequency response range itself doesn’t define the speaker’s audio quality. Also, most of the buyers don’t really understand the true meaning of frequency response. This is the reason and the opportunity to create this article and try to explain the term “frequency response” and help you realize what to expect from a specific speaker depending on the specification list. Understanding abstract specifications such as frequency response, impedance, SPL, etc. is pretty complicated and requires some time and focus, but if you stay with us, we guarantee the things will be much clearer at the end of the article. Speaker frequency response represents the range of frequencies that a certain speaker or a speaker system can produce. As you probably know, the human ear can recognize and hear only the sounds within the 20 Hz – 20 kHz frequency range. In reality, most of us can’t hear all the sounds, even if they are within this range, but our speakers can reproduce them. Even if they can’t, our ears won’t mind but it is considered prestigious when you have the speaker that covers the entire range. It also gives you the basic idea of the speaker quality. In a few minutes, you will realize why but let’s first see how the audio spectrum is divided into frequency bands based on the high-low ratio. This is the range of frequencies that spans from 20 to 60 Hz. Tones that belong to this group are the deepest audible tones that most of us can’t hear but can actually feel due to the strong vibrations that spread the sound waves. Only a few instruments can produce such low tones: harp, tuba, bass guitar, bass trombone, etc. This is also the low-frequency band and it spans from 60 to 250 Hz. This band is much wider than the previous one and more instruments can produce the corresponding tones (saxophone, cymbals, trumpet, violin, clarinet, bass guitar, etc.). Even some human voices can reproduce such tones. These tones are easier to hear than the sub-bass tones. The frequency response of low midrange band spans from 250Hz to 500 Hz but these are still considered low tones. They can be produced by many instruments, some male and female voices and they are also easily recognized and heard. These are the tones within the frequency band 500Hz to 2 kHz. These sounds are responsible for your general impression about every song, every melody, so it is very important that they are delivered in the proper way. Vocals belong to this group and they should always be perfectly clean. 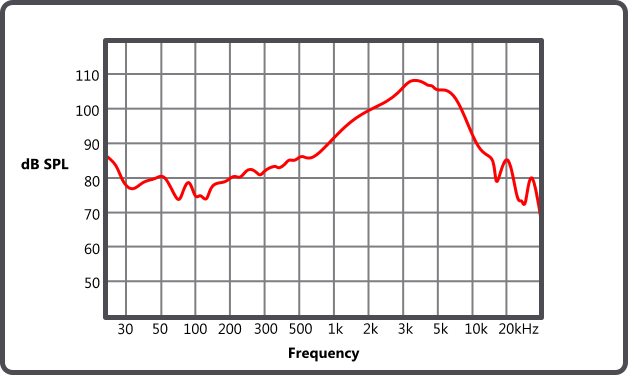 Upper midrange band spans from 2kHz to 4 kHz. The most important and most exposed sounds here are vocals. As far as instruments are considered, these tones can be delivered by the rhythm and percussion instruments. If the frequency response is in the 4kHz – 6 kHz range, we are talking about the lower treble band that actually determines the overall sound clarity. The highs span from 6kHz to 20 kHz and, as you can see, this is the widest band in the whole spectrum but the problem is not many instruments can produce these tones and not all people can hear them. However, if they aren’t reproduced correctly, the sound gets distorted and unpleasant for listening. We can’t really say that frequency response is the only characteristic that matters, but we also can’t deny that frequency response is the characteristic that has a huge impact on the sound quality. Some experts say that you have to understand the frequency response if you want to understand music or any kind of audio content. You are probably wondering how to recognize a device with good frequency response. The performance and sound quality are not defined only by the fact that a speaker is able to reproduce a certain range of frequencies. It is also important to reproduce all the frequencies at the same volume so that they are delivered in the same way they were recorded. If your speaker causes the original track to lose some of its color or overall quality, it’s not a great speaker. The music coming from your speaker should sound the same as it would sound if you were listening to the band or orchestra playing it live at some concert. The speaker has to be able to reproduce even the most complex sounds with all kinds of different frequencies and it has to do that at the same time and in a balanced way. You will usually find some info on the frequency response in the specifications list, but you can’t actually make any conclusion based only on those two numbers. You must be wondering how is this possible. Most people think that if the speaker’s frequency response is within the audible range (20Hz-20kHz), the speaker is good enough. However, it is not enough because you also have to know how much your speaker’s sound reproduction across the frequency range deviates from the flat frequency response and this is expressed in dB. So, if you see that your speaker’s frequency range is 20 Hz – 20 kHz with a deviation of ± XdB over the specified range, you can decide whether the speaker is good or not. If the deviation is not specified, you can conclude absolutely nothing. The sounds that your speakers have to deliver are quite complex and, in order to reproduce them correctly, it is better to use a speaker system than a single speaker. The system works better because the full audio spectrum is divided into parts. Every part of the system receives only the signal for that specific frequency band and it is able to deliver more accurate sound than a single speaker that does all the job on its own. However, this wouldn’t be possible without a crossover. The crossovers are actually electronic circuits that assign a specific signal to the corresponding driver/speaker. Several crossovers can create a crossover network made of a group of filters that pass the split signals to the corresponding parts of the speaker system and they are also called band-pass filters. There are different types of crossovers but the most common type is the 2-way crossover that consists of low-pass and high-pass filters. The low-pass filter passes the signal to the parts that reproduce low tones and the high-pass filter passes the signal to the parts in charge of high tones. Every driver inside a speaker that contains multiple drivers is in charge of a certain range of frequencies. Subsequently, we have full-range drivers, woofers, tweeters, mid-range drivers, and subwoofers. When there is only one driver inside the enclosure, that driver will have to reproduce all the frequencies and that kind of driver is called the full-range driver. As you would guess, this can hardly be a good thing because the speaker’s performance is very limited, mostly by its size. If it’s large, the speaker will produce nicely low and mid-range tones. The mid-sized speakers are good at reproducing human voices, while the small speakers are good at delivering high frequencies. This is why the best option is to combine two or three drivers of different size in one enclosure. Woofers are usually very large drivers (4 to even 15 inches) in charge of reproducing very low to low and mid-range frequencies (from 20 Hz to 2 kHz). The woofer’s size determines the speaker size because it correlates to the size of the enclosure. Larger woofers are built-into larger cabinets that are usually used for floor-standing speakers while the smaller ones are used for making bookshelf speakers. Tweeters are smaller than woofers and they are in charge of high-frequency tones, usually above 2 kHz. These drivers receive the high-pass signals and reproduce high-frequency tones that tend to dissipate over the living room. In case the dispersion is too wide, the listener won’t be able to determine where the sound is coming from. If the dispersion is extremely narrow, the listener will have a limited number of options when it comes to choosing the listening position. This is why it is so important that these tones are reproduced accurately. Mid-woofers don’t come in every speaker like woofers and tweeters. They are built only by the manufacturers who tend to increase the audio performance of their speakers by separating the low and the mid-range frequencies even more. These drivers reproduce the sounds within the 200 Hz – 5 kHz frequency range. Subwoofers are specially designed for the lowest tones (below 200 Hz). A good speaker system should include at least one subwoofer because smaller drivers can’t reproduce the sub-bass frequencies (the frequencies that are better felt than heard). A subwoofer should be an integral part of your home theater speaker system because it makes your watching and listening experience much more immersive (especially when watching movies with plenty of explosions, earthquakes, etc.). When it comes to music, they deliver the sounds played by deep bass instruments. They can be powered and passive.